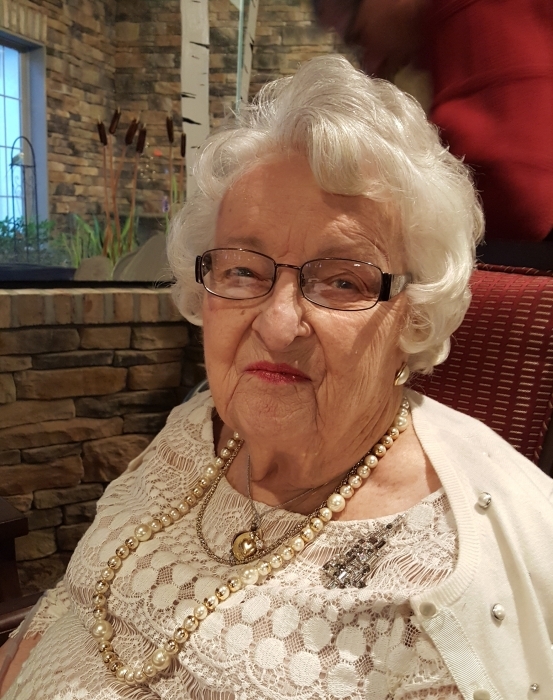 Bernadine Dietrich, 93, of Barnesville, Ohio passed away on Monday, April 1, 2019 at The Inn at Summit Trail in Reynoldsburg, Ohio. She was born November 7, 1925 in Barnesville, Ohio, the daughter of Cecil and Clara Heaney. Bernadine is survived by 2 sons; Larry (Linda) of Barnesville, Ohio and Mark (Cheri) of Grove City, Ohio and daughter, Marcia Garvey (Ronald) of Naples, Florida; five grandsons, Brian, Scott (Anne), Douglas (Rebecca), Ryan (Amanda) Garvey, and Gregory (Katelyn) Garvey and six great-grandchildren. Visitation will be held on Friday, April 12, 2019 from 10:00 am until the time of the memorial service at 11:00 am with Ev. Val Roxby officiating at the East Main Church of Christ, 329 East South Street, Barnesville, Ohio. Arrangements are entrusted to Campbell-Plumly-Milburn Funeral Home, 319 North Chestnut Street, Barnesville, Ohio.